Robert Owen was born on 8 November 1799 at Tynemouth, North Shields, England, the second son of Robert Owen, master mariner, and his wife Sarah, née Hall. In 1824 he married Jane or Jessie Threipland, the daughter of Lord Moncrieff of Finagask Castle, Perth, at Newcastle on Tyne and had two sons and a daughter. At Wollongong, NSW, on 1 February 1854, he married according to Catholic rites Mary Catherine Hogan (d.1905), and had two sons and three daughters. He died on 25 November 1878 at 88 Elizabeth Street, Sydney and was buried in the Legal Section of the Church of England Cemetery at Rookwood. Robert Owen was admitted as a solicitor on 20 April 1820 at London, England. With his two sons, he sailed to Melbourne in 1839 on his own schooner and soon moved to Sydney. He was admitted as a solicitor in New South Wales on 5 June 1841. He later became a partner of Carr, Robert & Owen of George Street, dissolved in 1850. He was a large landholder in the Illawarra district and had interests in several Murrumbidgee sheep stations. He also leased coal and mineral lands and invested in South Coast collieries. On 1 March 1859 he became the first and only solicitor appointed a District Court Judge and Chairman of Quarter Sessions. Owen resigned from the Bench in June 1861 and lived in Wollongong. He visited England in 1850 and 1868. Owen was trustee of the Free Public Library from 1870-78. He was a keen yachtsman, a member of the Anniversary Regatta Committee, and winner of the Anniversary Race in 1848. Owen was elected to the Legislative Assembly for East Camden from 22 January 1858 to 25 November 1878. He was appointed to the Legislative Council as a government representative on 8 December 1868, remaining in office until 25 November 1878. Robert Owen was a Foundation Councillor for Bourke Ward, 1 November 1842. He resigned on 2 March 1843 because he was annoyed by frequent attacks on aldermen without reason but he attended the Mayoral Ball in 1844. He was elected for Brisbane Ward, 2 November 1846 to 31 October 1847. 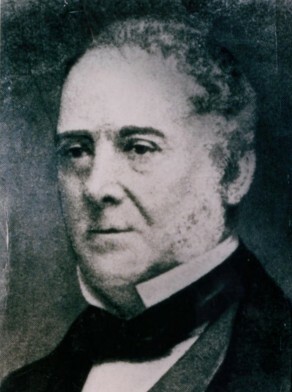 H. T. E. Holt, ‘Owen, Robert (1799–1878)’, Australian Dictionary of Biography, National Centre of Biography, Australian National University, http://adb.anu.edu.au/biography/owen-robert-4351/text7067, accessed 12 December 2012.